The Gu-ge (or Guge) Kingdom was founded in the 9th Century, one of many feudal kingdoms in western Tibet. Situated on trade routes from India and Kashmir, the kingdom thrived until the 1650s, when it was besieged by Muslim invaders from the Ladakh kingdom in India. Today, there are no descendants. The buildings are literally carved out of the rock, and many murals, statues and other artifacts survive today, to the great delight of Tibetan Buddhists. 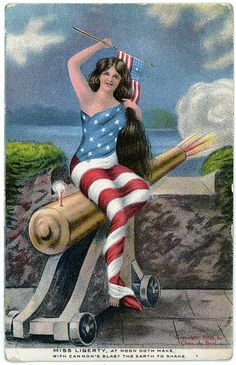 Today is Postcard Friendship Friday; I wish the U.S. treated its friends a little better. All the “Free Tibet” signs and T-shirts have been put away. The Dalai Lama just visited Washington, DC and the President decided not to meet with him; instead, we lit up the Empire State Building in red and yellow to celebrate 60 years of Communist rule in China. Perhaps the Dalai Lama can take comfort in the fact that, lately, we’ve been snubbing all of our other allies, too. What a remote looking place. It’s almost other worldly looking. This is a special postcard, beautiful photo, of a real place of the heart. Speaking of heart, you can take heart knowing that I actually do see “Free Tibet” bumper stickers on cars around Oregon. Not that it’s helped much. I didn’t realize that the Dalai Lama was snubbed in the U.S. I wonder how I missed that story….. it sure wasn’t on the front page of our newspaper. Thanks for the info as I will read up on the particulars. It’s sad that political expediency overrides friendships in the world. It happens so much, everywhere. I keep hoping that individual links on a personal level will encourage better relations but I often find myself becoming very cynical. Fantastic card, and thoughtful post. I still see the “Free Tibet” bumper stickers and signs here locally, but I don’t read newspapers or watch TV – too busy creating art I guess. This is a very beautiful image of a very beautiful place that I’ve never heard of. Thank you for posting it and giving me a history lesson! I didn’t realize that Obama decided not to meet with the Dalai Lama. Too bad. What a beautiful card and a beautiful place. The card is spectacular. Thank you so much for sharing this very special place with us. Not meeting with the Dalai Lama, to me, is shameful. He didn’t meet with the Dalai Lama?!?! Beam me up scottie! 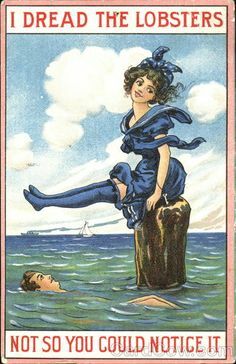 This postcard is amazing–it is hard to believe such an enchanting place actually exists. Thank you for sharing this wonderful place with us. Such an marvellous place on earth !!! Do you mind to share with us, how you start your postcards collection ? Fure of this world is scary. Every country will only act on economic development and not on moral responsibility. Smaller, weaker nations and races stands no chance against big aggressive nations. Hopefully humanity will restore its basic moral priciple.